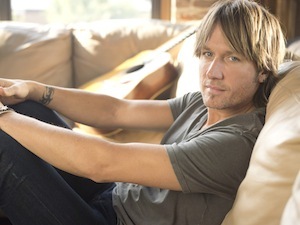 Taylor Swift and Keith Urban are among the artists slated to take part in “The Grammy Nominations Concert Live! !–Countdown to Music’s Biggest Night.” Swift, who is currently taking her Red Tour overseas, will participate in the event from Sydney, Australia. The 23-year-old entertainer was a co-host at last year’s event, which announces the Grammy nominees for all major categories. According to the preview video of the event, Urban will perform with Miguel. Other artists confirmed for the event include Katy Perry, Robin Thicke, Drake and Macklemore & Lewis. LL Cool J returns to host the event. “The Grammy Nominations Concert Live!–Countdown to Music’s Biggest Night!” will air live Friday, Dec. 6 from Los Angeles’ Nokia Theater, beginning at 10 p.m. ET. To see a video preview of the nominations concert, watch below. The 56th Annual Grammy Awards will be held on Jan. 26, 2014, at the Staples Center in Los Angeles. The show will broadcast on CBS at 8 p.m. ET/P.